Presenting To The European Parliament For WDD 2015 | Life, Sport and Diabetes - An everyday look at my life with type 1 diabetes. At the start of this month, ahead of World Diabetes Day celebrations, I was very kindly invited to speak at the European Parliament in Strasbourg. It was thanks to the International Diabetes Federation Europe, whom I attended a youth leadership camp with back in 2013, the MEPs who sponsored the event European Ministers Nicola Caputo and Therese Comodini Cachia and was in thanks and association with Eli Lilly, who also invited us on a tour of their insulin production factory, but more about that in its own blog. The subject that I had been asked to speak about was inline with this year's theme for World Diabetes Day - healthy eating, and in addition to nutrition I was asked to speak about my experiences with sport and diabetes aswell. IDF Europe had asked me to talk about three things that have been inextricably linked for me throughout my journey with diabetes and doing high level sport. This is because they all help one another in promoting health and well-being and the more you know about managing each, then the more control you gain over your diabetes, in my opinion. I wasn't too nervous when we arrived at the European Parliament, located just outside the beautiful city of Strasbourg. I think this was because I was captivated by the size and scale of the architecture of the Parliament building itself. As you enter it through a flag lined walkway, you emerge into a huge circular courtyard with hundreds of windows. Which really brought home the magnitude of the place that I'd be speaking at in just a few short hours time. The morning was spent at the colourful healthy eating exhibition that IDF Europe had orchestrated, and here it was great to be able to speak to other youth delegates in attendance at the event, who had also travelled from all over Europe to be there. The nerves of what I was about to do truly set in when we went to visit the chamber of the EUP, located in the heart of the building. I've visited the chamber for Assembly Members in Wales before and thought that was big, but the chamber itself, stretched as far and high as the eye could see. There was also a reverence associated with the fact that this was the heart of where politicians in Europe made their decisions together. But soon it was time for us to enter the Presidential Suite where I would be delivering my speech, after Jack Delicata from Malta who at 17 was speaking about what it's like to live with diabetes as a teenager and Kyle Rose from France who spoke about diabetes and technology. I began my presentation by giving a little about my background with diabetes, such as when I was diagnosed and how it felt at the time. I also spoke about how I got into athletics a few years later, and what I'd managed to achieve in terms of international representation in athletics since then. 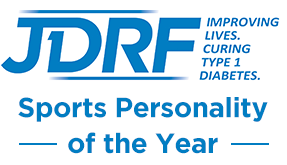 This made it easy for me to then speak about the numerous benefits I believe that there are to someone with diabetes, when participating in sport at any level. I spoke about my volunteering commitments and how that led to me being nominated to carry the Olympic torch and having my Nike campaign in 2012, that enabled me to shine a spotlight on the condition of diabetes in a positive way but on a global scale. As I'm so involved in social media and the diabetes online community, I felt it was very important to include other people's thoughts and opinions on diabetes and sport in my presentation. So I sought feedback on what people with diabetes, felt were the barriers to them participating in sport. I felt this was an especially relevant topic to speak about because the audience was made up of MEPs, who I know want to get more people involved in sport. So in order to understand how we can work together to achieve that, we needed consider what might be in the way of people with diabetes gaining access to physical activity. This then led me onto a brief insight into the behaviour of blood glucose levels during different types of sporting activity, to illustrate the complexity of sporting engagement with type 1. This was followed by how the right nutrition can be utilised as a tool in maintaining blood glucose levels before, during and after sport and the benefit and importance of getting it right. Both during and after my presentation I was absolutely overwhelmed by the positive feedback and engagement that I received from the MEPs and diabetes delegates. 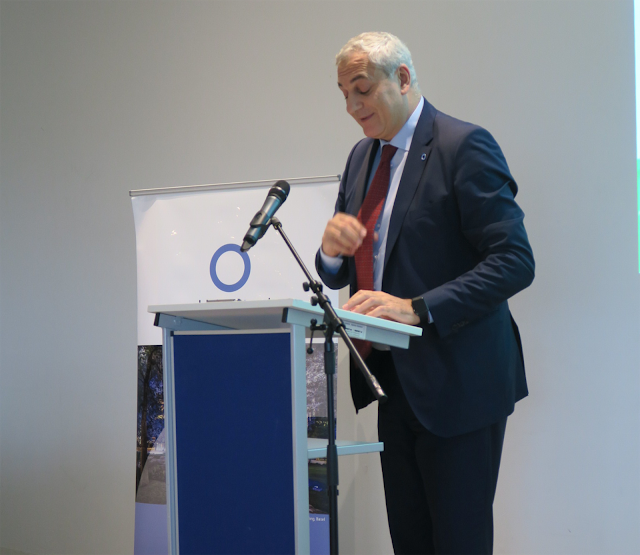 Minister Caputo was even kind enough to have quoted some of the things I said in his closing address for the event, which made me feel like I had truly achieved what I had set out to do at the European Parliament. Which was to show that diabetes is a serious condition, but it's one that can be managed and helped with the assistance of sport and nutrition. It's something that I've learnt on so many occasions first hand and it's something that I plan to continue to promote from the European Parliament this Diabetes Awareness month and beyond!